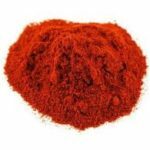 This is an ongoing list of images and names of Indian spices in English and Hindi. 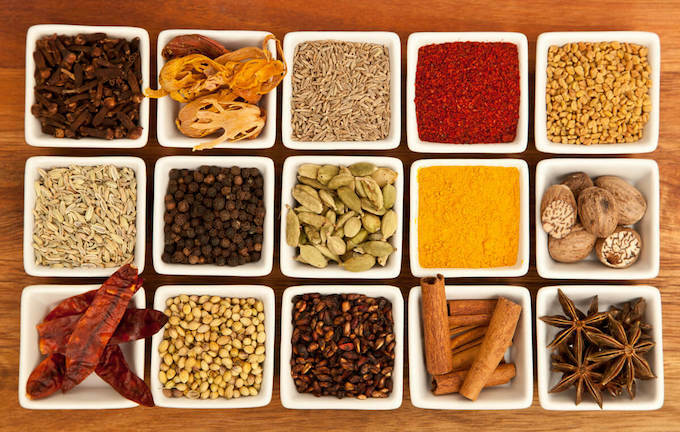 India is home to a large variety of spices that are used not just in Indian recipes but in recipes around the world. It is an amazing journey down history if you want to trace how travelers introduced new spices across borders. India was at the heart of the Spice Trade. Indian spices were (and still are) always the coveted item in many merchant cargos. As a kid, I remember looking into my mom’s metallic round spice box (which I recently replaced with this beautiful Tupperware Red Spice Box ) with their little containers and smelling each of the spices. 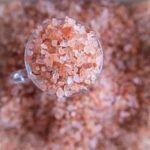 Most recipes, especially online, use spice names in English. Very often I would come across an English word for an Indian spice and be at a loss. 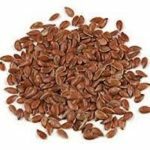 For example, I read about using caraway seeds in a bread recipe and only when I saw the seeds that I realized they were actually shahi zeera which can easily be substituted with common black cumin. That’s when I decided to make an Indian spices list with their Hindi and English names with spice images. I am glad that so many people, from bachelors to seasoned cooks, have found this list helpful. This glossary is not definitive and definitely not complete. It is more like a “living document” that needs your knowledge and contribution. It is a work-in-progress. I would also like to create a spice list with pictures sometime in the future. (And that has finally happened!) Let me know if you would like that! 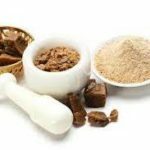 These spices are individual spices, but a lot of times in the spice rack of your grocery store, you would find spice mixes like garam masala, chole masala, rajma masala, nihari masala, 5-spice panch phoran spice mix etc. These spice mixes, especially the ones that are specific to a dish, don’t really have a corresponding English name except for translating that dish into English. 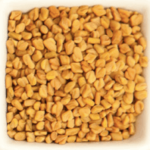 For example, you may call chole masala as Chickpea curry spice mix. These spice mixes are not part of this list. 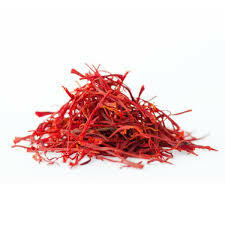 If you know about a spice that is missing here or needs correction or if there is an Indian spice (or any other spice) that you cannot find a corresponding Hindi/English name; do let me know through the comments. Also, not all spice images are my own. I have used low-res images of all the individual spices for reference purposes only. this is extremely helpful.. I am forever confused with the ingredients!! Can you plz tell me what is this Star Anise ….?? 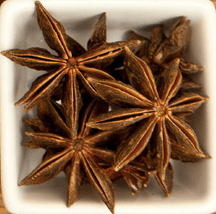 Star anise (in hindi it is called chakra phool) is a flower like spice. It has a liquorice flavour. It is also used a lot in Chinese cooking: E.G. in five spice powder, in Szechuan cuisine, etc. sorry haven’t heard of baadiya spice before.I checked for a few recipes of mutton pasanda to see if I can find the spice but was’ able to. Can you refer any recipe to me where the spice is used? maybe that would help in identifying it. Star anise is known as badiya in gujarati.. It is also known as Karan phool. I seen it on label on star anise packet in market. Star anise is the fruit of a small evergreen tree native to southwest China. 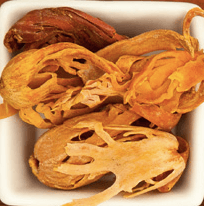 The star-shaped fruits are picked just before ripening and dried before use. 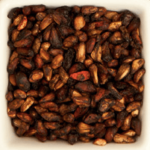 They contain the same essential oil as the botanically unrelated Spanish anise seed, which gives the two a nearly identical flavor- strong, sweet, and licoricey. I didn’t know that! Thanks a lot Jay! Salwa, I don’t think it’s a spice. As far as I know it is an algae like plant growth. 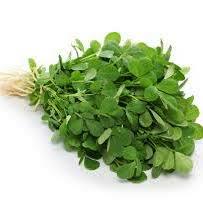 What is the name of ghati masala in English? Matthew, Ghati Masala is a Maharashtrian mixed spice made with a lot of spices like cumin, cinnamon, peppercorn etc.. a lot like garam masala. I don’t think it has an English name. Hi Ashima, thanks for the list. Once Alka had asked you on Nov,2016 that what is arrowroot. Actually arrowroot is not arbi/arvi, it is cornflour which we mostly used in aloo tikki. I guess coriander leaves.. Daniya leaves are left? 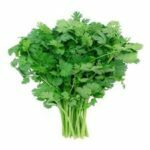 I’ve added fresh coriander leaves in the herbs section! I am glad it was helpful… in case you know of more spices that I can add to the list, please do let me know..
will add them to the list! If you can send me more names. Thank you for your request, but I am not sure if I understand you clearly.. Do you want me to email you names of more Indian spices? sorry for such a late response. It seems your comment was filtered through. Sorry for asking….im still on my way of learning to cook Indian Cuisines and i just dont know how to ask them from the Indian/Pakistani store personels whenever i want to buy spices for cooking. Thanks for the big help! 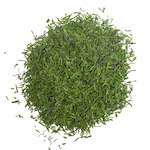 When I was watching an Indian chef preparing goda masala, he showed dagad phool, which is a type of lichen. Badal phool was listed as star anise elsewhere, but your list has it as dagad phool. Is this a variation of name depending upon region or language? Thank you so much for writing 🙂 For a long time I did not know what is star anise called in hindi; I kept asking fellow food bloggers and then one of them told me it was called dagad phool so I added it 🙂 And now you pointed out the mistake… so dagad phool is actually stone flower like you said, a type of a lichen. Nice. I always wanted to know the English meaning of all the spices. Ashish, let me know the ones that you need that aren’t there on the page already! 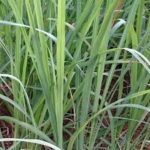 What is jalpatri in English? Thank you! 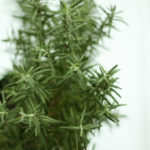 Don’t know yet but I will keep asking further.. do you have a picture of the herb? it really helped out me to know all the name of the spices in hindi!!! thanks a lot..
Star Anies is foolchakri in Hindi. star nise – Hindi : Anasphal – good job with this blog…. http://indianhealthyrecipes.com/broccoili-gravy-for-chapathi-roti-paratha/ – for broccoli indian gravy – in case this is not on yet!!! Wow! that’s a big list 🙂 Thanks!! 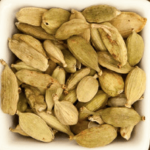 Let me try of the ones that I know..
garam masala – is a combination of different spices like cardamom, black pepper, nutmeg, mace, aniseed, cumin etc.. so I don’t think it has a combined name in English as well. 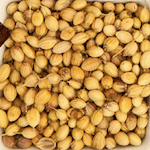 Maghaz pista – pistachio without its cover. Is allubkhara actually allubukhara? Which is simply plum. I think sandal boor should be sandalwood powder but would love it if someone else can also confirm to it! Thanks again Naqash for adding to the list on this page! Hope these translations help. sorry meraj.. don’t know what Mangrela is.. is that the hindi name? Mam, Mangrela is the north Indian name for Kalonji. In English, you have given Nigella seeds. I am glad this page is helpful to you and thank you for your suggestion also. 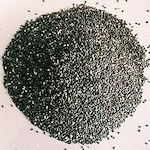 I have updated the list to add mangrela as another hindi name for kalongi or Nigella seeds. This is really helpful.my son always asked me the name of spices. I am glad it is helpful to you Nikki! Are you asking about a particular spice? 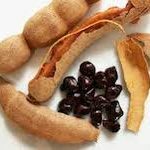 This is an ongoing list of Indian spices which are used in different combinations in dishes across our cuisine. Thanks. I need English name of “Akkalgara” a spice famous in Gujarat and mostly used in ayurveda medicine. Sorry I don’t know the English word for Akkalgara but I will surely ask around and if you come to know of it, please do let me know so that I can add it to the list. Hopefully one of the readers may know the spice. This is very useful, there is a bit confusion between Aniseed and Fennel as both are different. 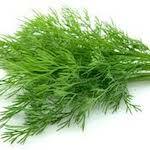 Aniseed is Til and Fennel is sounf. Thank you for pointing out the mistake. Aniseed and Fennel though taste similar are not the same. I have corrected the mistake. Though aniseed is not til as you mentioned. Til is sesame. I will keep looking for the hindi word for aniseed. This is extremely helpful, i’m always confused between these spices….. Thnks a lot….!!!! Thank Suraj! I am glad it is helpful to you. Can u send me what is masala box all together is called in hindi? Abhishek it is called masaaldaan literally meaning spice box. I am glad it was helpful Fozia. Waiting to add more ingredients to it now. I have not used Lodhar powder as such but what I learnt is that it is an ayurvedic powder for skin diseases. 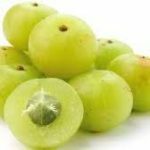 The technical name that I found is Symplocos Racemosa. I might be wrong about this one. Please do check at more sources or best ask an Ayurvedic practitioner. what is julandjan misri ? 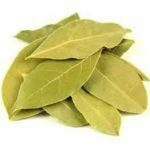 what is bequanch bark called in english? I actually do not know these two spices/ingredients. 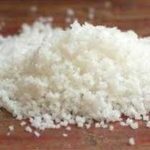 Misri is actually crystallised sugar lumps, probably Julandan misri might refer to a specific place? The second one I haven’t heard of. Maybe one of the readers can help? I just started with the indian spices. how are they? cumin is the first one i got. which ones are the good ones or are they all good? 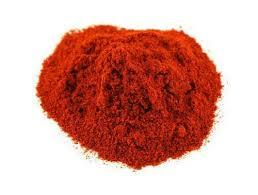 India and Indian cuisine is famous for its spices. Every recipe calls for a different set of spices. Most of the spices have therapeutic properties. 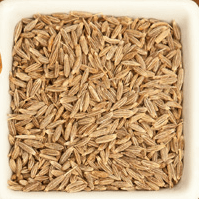 Cumin is very good for digestion. In fact in some parts of India, regular drinking water is boiled with cumin (and then cooled). 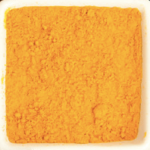 Likewise turmeric has antiseptic and anti-inflammatory properties. Ajwain (carom seeds) are great for stomach aches; ginger is common home remedy for colds etc. Can you give me your contact number ? I am glad it is helpful to you! 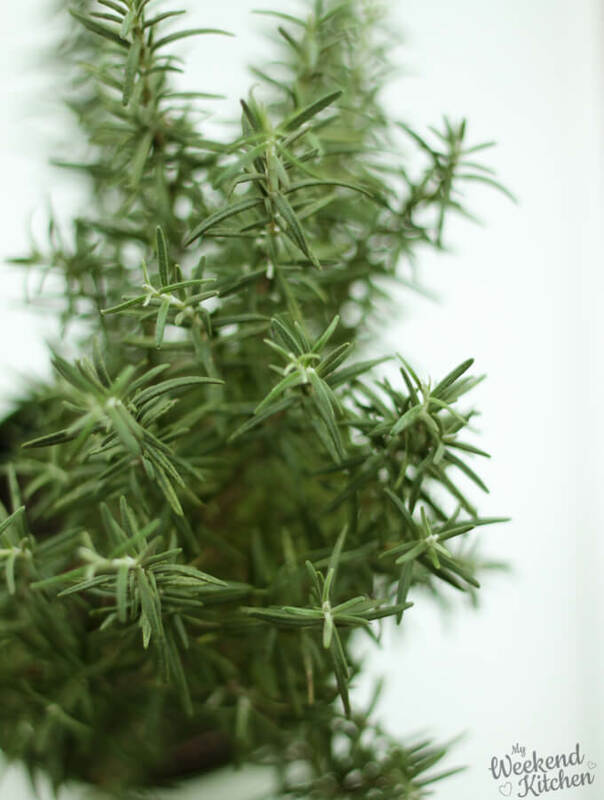 While Rosemary is now grown in India, it is native to the Mediterranean and I don’t think it has a corresponding hindi name. I found a reference to it being called Gul Mehendi (गुल मेंहदी) but I’m not sure if many people will recognise it by that name or if it is even correct! This English to Hindi translation of Spices is Very Helpful. Some times even the New Generation doesn’t know the Hindi word and very difficult situations arise with cook. I am happy you find it helpful. Do help me improve it by adding your suggestions for more spices that I must have missed. I am glad you found it helpful 🙂 Do let me know of more spices that can be added. 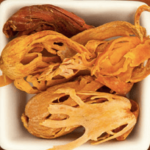 Not heard of kebab chini yet… can you send me the recipe that calls for it, maybe then I will be able to figure it out. Powa is flattened rice. We use it often to make breakfast. 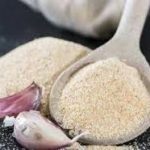 Can you send me the recipe where you came across Powa and I can help you further. Hello Ashima, you have written an amazing post! I am glad it is helpful 🙂 Please do let me know of more spices that can be added to the list! Hi Ashima, Nice work. Thank you. Can you please tell what is Baadiya. 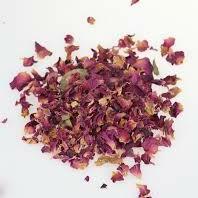 I know it is a spice sometimes used in preparing Garam Masala, and also in mutton Pasanda. 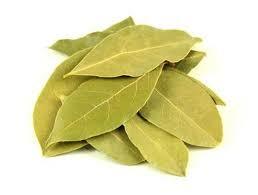 It’s called Bayleaf in English. 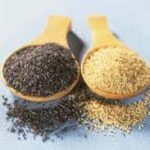 Like to know Jeera is two types? which one is Good? which two types are you referring to? So there is regular zeera which we use for everyday cooking and then there is shahi zeera or shah zeera which is used for Biryanis and special occasion dishes as it is twice the cost 🙂 but it definitely is more flavourful. Hello Ashima, You are an angel to me. Since I am a bachelor and stay alone I need to do my cooking…This blog will really help bachelor like me..Thanks a lot. Thank you very much…A life saver for men like us, who go to market looking all blank . I am glad the list is helpful to you. If you come across spices that are missing here, do let me know and I will add them here. Plz can you tell me..what is kaali Miri? I knw kali mirchi…but what is kaali Miri.plz do let me knw. 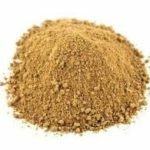 I have not heard of Kali miri but there is a spice called Kari zeeri which is sometimes recommended in a spice mix for joint aches. 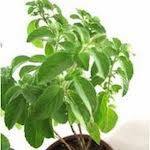 My mom also used to take it… It is a mix of kali zeeri, ajwain, and methidana. Is it that you are asking about? Katlu is not a single spice. 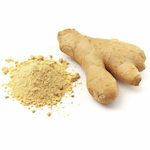 It is actually a mix of many spices like dry ginger, fennel, turmeric, poppy etc… I came across it when we lived in Gujarat and haven’t really seen it being used in other cuisines. I don’t think it has a corresponding English name. 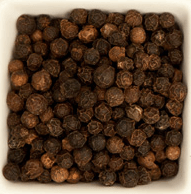 Can black pepper and peppercorn be used interchangeably or their is some difference ? A bit confused because u wrote both of the name separately . Thank you so much for pointing that out! There absolutely is no need for me to put them separately as black pepper is also a kind of peppercorns. Peppercorns can be black, red, white… and if the recipe calls for black peppercorns then they can be used interchangeably with black pepper. 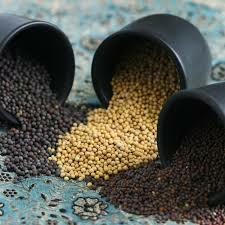 Just that peppercorns are whole spices and black pepper can be whole or ground. Great start on your herb and spice list Ashima. 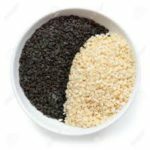 What is the difference between Shah Jeera (Black Cumin), Kala Jeera (Black Cumin), and Kali Jeera (Black Cumin)? Each seed looks a little different and I am looking for caraway seeds. 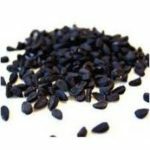 Based on your intro comment, I am guessing it is probably shah jeera but I am curious as to what black cumin really is – do you know? You guessed it right! 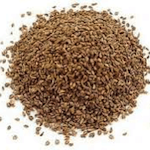 Caraway seeds are the same as Shah Jeera. Shah Jeera is smaller than regular Jeera (black cumin) and more aromatic and flavourful. Since it is also more expensive, the use is reserved for more elaborate and festive cooking. 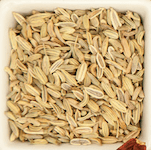 Black cumin or Kaala Jeera is the most regular cumin that you will find. 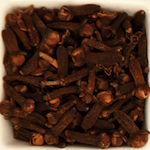 Kali Jeeri is a different spice that looks like cumin but has is different in flavor. I actually don’t know what is it called in English. It is used in India in Ayurvedic medicines and home remedies. Hello Ashima. 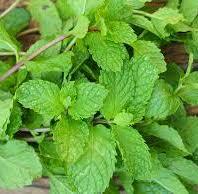 I would appreciate if you would be able to clarify for me if the references to oregano are ajwain or carom? Also, what is ajwain ke phool? I am so sorry for the delay. I have been out of internet for a few days. oregano is not ajwain or carom seeds. In fact, oregano is not an Indian spice. Ajwain ke phool would translate to Ajwain flowers which are like tiny white flowers that grow in a bunch, just like dill flowers. While Ajwain leaves are used in cooking, I haven’t come across the use of flowers in cooking. Thanks again for your help Ashima. I am glad I was of help! It is my wish to upload pics to this blog one-day:-). I want to click all the spices and then create a photo glossary of them. Thank you for suggesting because it definitely will help me do it sooner. I am leaving for 10 days Vipassana Meditation camp tomorrow and will be completely disconnected during that time. But once I return, I will definitely start on taking pictures of all the spices for this page. Though I had a confusion… would you like that we upload pics to this post or you want to share your pictures with us? Cumin and black cumin are the same. 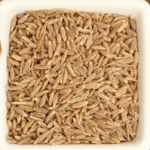 Caraway seeds are thinner and smaller than regular cumin seeds but of the same family. 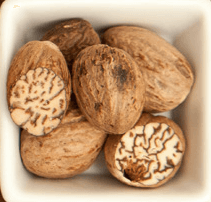 In Hindi, they are called Shah Jeera. Nice work Ashima..it will be good if you add image for that.. But really good one. Thanks, Tanzila. I am glad you found it helpful! Do let me know if you find spice names that are missing here. Thank you so much, Anjan! I am very happy that the list is helpful for you. Since it is an ongoing list, do let me know if you come across spices that are missing here. 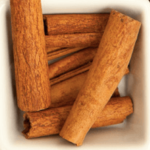 Do you love the sweet aroma of cinnamon in your dish? Or swear by the wonderful health benefits of turmeric? 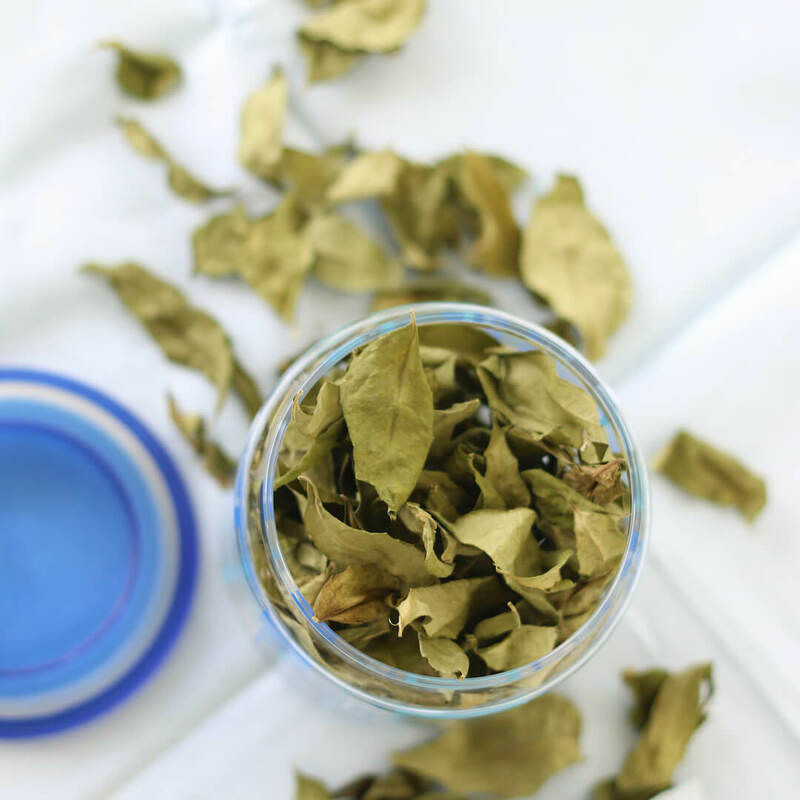 Spices are an integral part of the family kitchen for a reason. Definitely, all the spices have so many health benefits besides adding to the flavor and aroma! Nice work, you could add photos for each item. But still the list is very helpful. Thank you. What we say Panchforan in english ? Hello Anoop, Panch Foran is a Bengali spice mix of 5 spices – cumin, fenugreek, fennel, mustard, and nigella seeds. It literally translates in English to 5 spices. 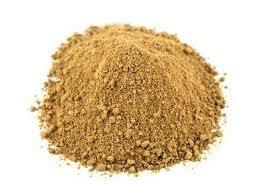 What is the name of garam masala in english?? This is very useful! thanks again. Staying in a foreign land away from the Indian subcontinent, I can imagine the type of problem anyone would be facing to get the spices for preparing a meal for their family. I am myself and this information has given me a lot of insight into everyday spice purchase from the supermarket. I am glad this list has been helpful for you to make your purchases in the supermarket. 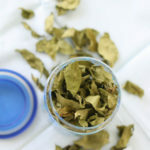 Do let me know if you have questions about any spices! Glad I found that content collectively at a place. You’ve done a great work Ashima. Could you tell us what is the translation of magg(phonetically ma-gg-aan) in the northern region of India? An inch or half in length with quadrilateral grooves on it. According to my knowledge star-anise, cardamom and the one I’m asking about is from the one single plant(* but still not sure about that information). I am glad it is helpful! Did you collect your gift? Enter your email for the e-delivery! Privacy Promise: We hate spam and your information will *never* be shared or sold to a 3rd party.